Track your Google ranking the easy way, with SerpSpy! Just enter your URL, some keywords, and click Go! 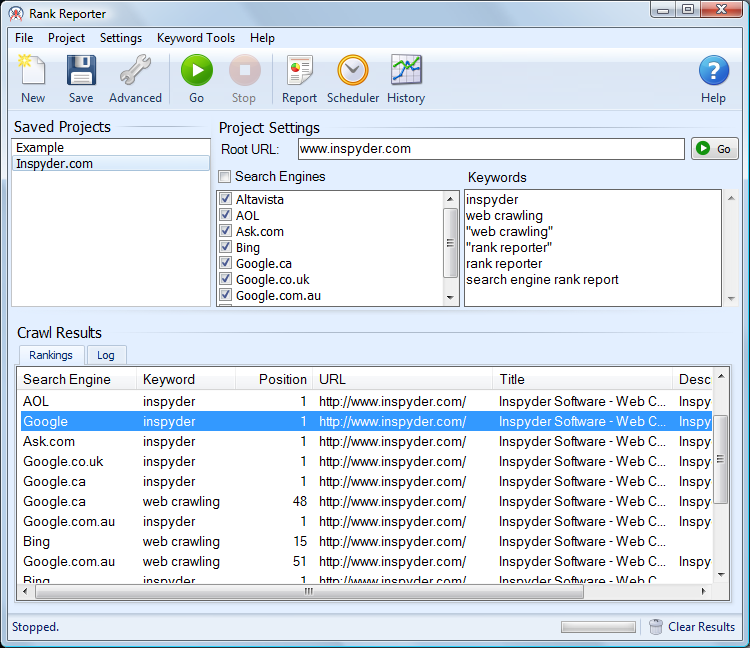 SerpSpy will track your website search rank in all the major search engines, no more manually searching! SerpSpy can generate automatic website ranking reports on a daily, weekly or monthly basis. The search ranking reports are easy to read and can be automatically emailed. Download a free trial and start tracking your website search ranking!